29/10/2014This entry was posted on 29th October 2014 by Andy Mossack. Days after leading Europe to a Ryder Cup victory against America, McGinley was in Portugal to perform the official opening ceremony of the €9.6m new North Course at Quinta do Lago alongside renowned American architect Beau Welling, Quinta do Lago owner Denis O’Brien and the resort’s chief executive John Dwyer. One of the most talked-about design projects in Europe in 2014, McGinley has redeveloped the course in close collaboration with Welling, with the new venue being completed in the space of just ten months.McGinley and Welling believe that the resort’s substantial investment programme and forward-thinking attitude will be rewarded in the years to come, helping to maintain its position at the forefront of golf resorts across the world. 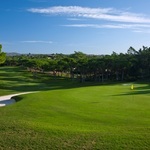 He said: “The North Course is something that we are all very proud of here. “Denis O’Brien has had the foresight to upgrade in the facilities consistently over the years. 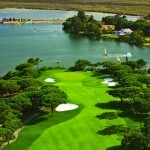 This is one of the biggest investments and it will keep Quinta do Lago established as one of the premier golf resorts all over the world. “A lot of people find the game very difficult so the aim with the golf course was to make it as playable as possible for golfers of all levels. We are trying to encourage people to play the game in a beautiful place and the aim is not too intimidate but to encourage. “We didn’t change the template or routing of the course but upgraded it and brought it into the modern world, making it as visual as possible. We want people to go out there, have fun and enjoy the course and its challenge so much that they want to come back and play it again. The course is a challenge but also very fair. The redevelopment is the first golf course design project that McGinley has collaborated on together with Welling, who worked with Tom Fazio for more than ten years and is also the main consultant for Tiger Woods Design. Welling, who has worked on more than 90 projects worldwide including the re-design of the famous PGA Tour course at Quail Hollow and Waterville in Ireland, said: “From a technical point of view, we have looked at how to make the course sustainable for the future. New For example, the new grasses we have introduced will mean that less water is needed to maintain it. 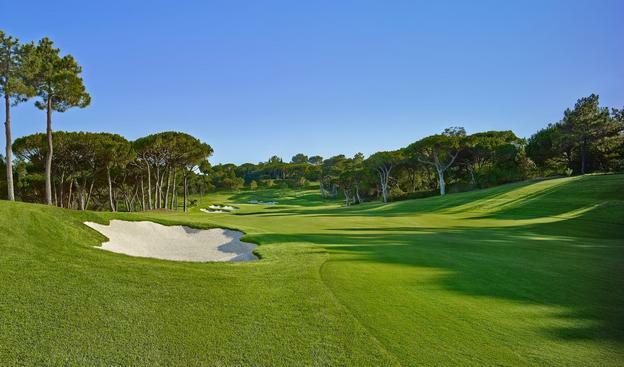 The redevelopment is part of a major €29m investment programme that has been undertaken by Quinta do Lago since 2009, with a further €21m is set to be spent on improving its facilities in the next three years. Among the changes introduced on the par-72, 6,776-yard course, all greens, tees, bunkers, irrigation, drainage systems and cart paths have been rebuilt using the latest state-of-the-art technology, with multiple sets of tees introduced on each hole to accommodate players of all levels. Dwyer added: “What Paul and Beau have achieved in such a short space of time is amazing and we’re very excited about the future. Golfers will be blown away by the redesigned layout and I’m sure it’s a course that they will want to play time and time again.